Periodically, when we're looking for a ghost game, we get updates and add them in. Read what I think of each game, then click the corresponding link to play for free and see if you agree. Shutter Island - This ghost game is reeeaally good! You know it's a take off on the movie, right? The movie with Leonardo Dicaprio? You have to play it. It's not the same old, same old hidden object game. It's not your ordinary puzzle game, either. It has a tense, addictive story line that is creepy and unnerving. After all, not only does the opening scene take place in a mausoleum, it takes place in a mausoleum during a storm. How creepy is that? There's no long story introduction, no cliches or overused lines. This is a very, very good game. The puzzles are at just the right level to keep you moving ahead without causing undue frustration, yet aren't so easy you move to fast or get bored. You really get to go from scene to scene and investigate, just like you're part of the movie. This is my favorite ghost game right now and you all should try it. This will be one you will want to own so you can play all the way to the end. I'm sure of it. Play for an hour, for free. If you choose to purchase the game, a portion of your purchase supports this site. 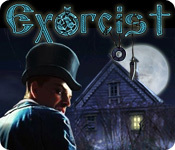 Exorcist - This is a ghost game for demon hunters, for sure. I find this ghost game to be a bit more challenging than the others I've played so far. In some cases you have to use items in the evironment to solve each level. It's a puzzle game as well as a seek and find game. The graphics are amazing and the background music is spooky. It's perfect for an evening alone in the dark, muhahaha! And with each level, you banish another demon. So grab your holy water, your mouse and prepare yourself for spooky ride as you become . . . the Exorcist! You can play this game for free and if you choose to buy it, it helps the site. 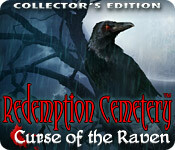 Redemption Cemetery, Curse of the Raven - After getting into a car accident, you wander into a mysterious graveyard while searching for help. The doors slam shut behind you and you realize that you are trapped! Escape from the eerie Redemption Cemetery by helping trapped spirits save their loved ones, and free their souls! Use your Hidden Object skills to help these ghosts and escape, in the ghost game, Redemption Cemetery â€“ Curse of the Raven! James Patterson's Women's Murder Club - This is not a ghost game, but it is a mystery. A morning jog presents a chilling find, and a new wave of fear descends upon San Francisco. Enter the world of James Patterson, America`s #1 storyteller, and study murder scenes as Lindsay Boxer, Claire Washburn, and hotshot crime reporter Cindy Thomas. Find hidden objects inside nine investigations, brain-bending puzzles, strikingly-beautiful artwork, and an all-new spine tingling storyline. Discover the truth and stop a psychotic killer in Women`s Murder Club: Death in Scarlet. Love and Death Bitten - Not a ghost game, but it involves supernatural creatures: vampires. Damon, a dark, handsome vampire cursed by an evil vampire queen, meets Victoria, a curious, young woman determined to save her village. After their chance meeting, each discovers the other can help overcome these dire circumstances. In Love & Death: Bitten, a Hidden Object Adventure, youâ€™ll play as Victoria by day and Damon by night, solving unique puzzles, collecting and combining hidden items and unlocking secret passages. Will Damon and Victoriaâ€™s story end in loveâ€¦.or death? 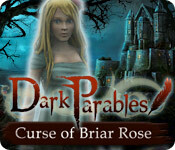 Dark Parables: Curse of the Briar Rose - 1000 years ago, Sleeping Beauty was kissed by a prince, which removed a terrible curse from the kingdom. The rampant briars were held at bay, but the poor princess was left in her slumber. Follow a modern day detective as he travels to Edinburgh, Scotland, and attempts to end the curse once and for all in Dark Parables: Curse of Briar Rose. Dive into this eerie Hidden Object Adventure game and save Sleeping Beauty today! 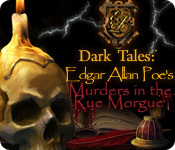 Dark Tales: Edgar Allan Poe Rue Morgue - Use your Hidden Object and Adventure game talent to solve a dreadful Murder in the Rue Morgue! Experience all the exclusive Collectorâ€™s Edition extras including additional Adventure and Hidden Object scenes. Play for free and if you decide to keep it, a portion of your purchase supports this site. Dark hills of Cherai - After hearing the story of a great adventurer named Wyatt, and the treasure hidden in his home, a young boy named Arjun decides to find it for himself. Little does he know, however, that an evil magician is waiting to kidnap him! Save your cousin from Digambar, and find the legendary treasure of Cherai! 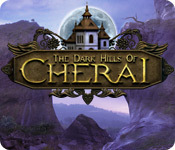 Explore a mysterious palace with three cousins in The Dark Hills of Cherai, using your Hidden Object talents, to track down the treasure and save your family. Ghost Town Mysteries: Bodie - I didn't find this ghost game very scary, but it takes place in a desert ghost town, Bodie (hence the name). You get to solve the murders, explore abandoned buildings and socialize with the ghosts out in the tumbleweeds. It's captivating in that the puzzles are fun and graphics, clear and stunning. You're probably going to like this game, but for me, I'm not a big fan of ghost towns (I don't like westerns, either), so this isn't at the top of the my list. But play for hour for free and see what you think. 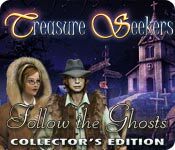 Treasure Seekers: Follow the Ghosts - Brother and sister team up in this ghost game to find the ghost in a house. Puzzles are more complex as you cover several rooms to conquer one puzzle. Not a super easy game, but relaxing and interesting all the same. 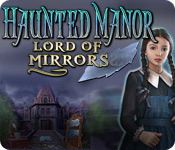 Haunted Manor: Lord of Mirrors - Wow! I love this ghost game. I like all of these games, but this is up in the top 10 for me. Maybe it's because it's about a haunted house. I love haunted houses for some reason and this one is complete with creepy sound effects: footsteps, creaking floors and mournful music. Inside the house are mirrors that possess your soul. Sucked inside, and bound forever, you must find a way to escape - which is, of course, where the clues come in handy. The puzzles are different than many other games and the challenge level is perfect. You don't feel completely stumped, but at the same time, you don't feel like it's so easy, even a caveman--I mean--kid can do it. In fact, the entire time I was play, I felt as thought I was in an interactive movie, rather than a game. It's a puzzle game, a hidden object game, but has a fluid script so you progress along very nicely. The entire time, completely aware you're in a haunted house. Excellent ghost game. I highly recommend it! 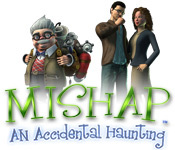 Mishap, An Accidental Haunting - The Burtons have just moved into a beautiful new home, which just happens to be haunted. Now it's up to you to help them deal with some particularly unfortunate ghosts as you search for Hidden Object through beautifully illustrated rooms. Help the Burtons survive the paranormal and take back their home in Mishap: An Accidental Haunting. 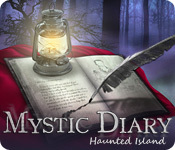 Mystic Diary Haunted Island - Stop a magicianâ€™s ghost and free the trapped souls haunting the Black Woods in Mystic Diary: Haunted Island! Communicate with a trapped ghost, the magicianâ€™s very own brother, as he guides you through the manor. Follow Victorâ€™s clues and stop the disturbed Gustav as quickly as you can! Solve cryptic puzzles and put together bizarre machines to unlock the secrets of the house in this incredible Hidden Object Puzzle Adventure ghost game! 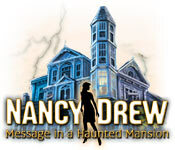 Nancy Drew, Message in a Haunted Mansion - You, as Nancy Drew, are invited to assist in the renovation of a Victorian mansion in Nancy DrewÂ®: Message in a Haunted Mansion! According to legend, a fortune in long-lost gold is hidden somewhere on the property and someone is determined to find it. In a house full of trap doors and secret tunnels, breaking glass and suspicious fires, one misstep means Nancy won't stand a ghost of a chance! Find the treasure using your Hidden Object skills! 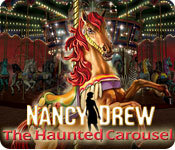 Nancy Drew The Haunted Carousel - Step into the shoes of Nancy Drew and investigate a series of mishaps at the Jersey Shore in Captain`s Cove Amusement Park. First, the lead horse was stolen from the carousel. Then the roller coaster suddenly lost power, resulting in a serious accident. Put on your detective hat and interview park employees to solve a series of challenging puzzles. Avoid deadly traps to discover the real truth in Nancy Drew: The Haunted Carousel. Skymist, The Lost Spirit Stones - Step into the shoes of Nancy Drew and investigate a series of mishaps at the Jersey Shore in Captain`s Cove Amusement Park. First, the lead horse was stolen from the carousel. Then the roller coaster suddenly lost power, resulting in a serious accident. Put on your detective hat and interview park employees to solve a series of challenging puzzles. Avoid deadly traps to discover the real truth in Nancy Drew: The Haunted Carousel. Mr. Jones Graveyard Shift - Help Mr. Jones make millions of dollars in the cemetery business, and retire to paradise with the love of his life! Plot and decorate each graveyard with a huge amount of items. Start off with just a shovel and old grave markers and build up to a marble-clad festival of crypts! Purchase enough upgrades to create the perfect resting place for much-loved celebrities, rich royalty, and others in Mr. Jones` Graveyard Shift, a fun Time Management ghost game. 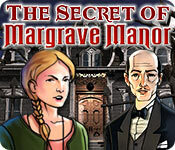 The Secret of Margrove Manor - Dusty drapes and ancient chandeliers dot the spooky Margrave Manor house. As Edwina Margrave, you must find your grandfather who`s been missing for ten years. Your only clue to his whereabouts is a strange door with an odd puzzle to unlock. In each room, collect hidden objects and view your strange medley in the collection room. Margrave Manor is the only Hidden Object ghost game that changes the positions of the items every time you visit a room, so you`ll always have a fresh challenge. Can you discover your family`s forgotten past? 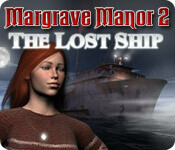 Margrove Manor 2 - Lost Ship - Help Edwina Margrave find her grandfather`s hidden treasure in this exciting Hidden Object Adventure game! Edwin Margrave was a famed treasure hunter, whose ship disappeared mysteriously over a decade ago. Now, the ship has reappeared and itâ€™s up to Edwina to figure out what happened. Learn about the legendary treasure and follow the clues to discover the secret of Margrave Manor 2: Lost Ship! Immortal Lovers - A run-of-the-mill family vacation turns into an adventure of a lifetime for young Valerie. During a walk in the woods, she narrowly escapes the attack of a wolf and is rescued by a mysterious stranger. When she returns to the woods to retrieve the items she lost, Valerie discovers a secluded mansion. There she meets the charismatic Vincent, and is instantly drawn to him. But Valerie has no idea what dark secrets are in store for her in the thrilling Hidden Object adventure, Immortal Lovers! 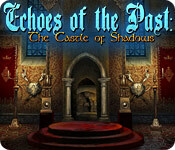 Echoes of the Past: Castle of Shadows - After discovering an ancient painting, the Royal House Museum invites you to explore the recovered artifacts, and the mysteries within. Restore the royal amulet to break an ancient curse and stop an evil witch from regaining her terrible powers! Dive into Echoes of the Past â€“ The Castle of Shadows and save the royal family from their curse and explore a fascinating world full of Hidden Object scenes, and perplexing puzzles. 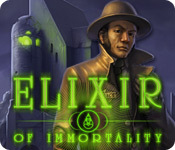 Elixir of Immortality - Journey to a foreboding island as you go on the hunt for a murderer in Elixir of Immortality, a fun Adventure ghost game! Gather evidence and track down the criminal before they strike again! Discover ancient secrets as you explore the mysterious island, and find the legendary Elixir of Immortality that so many have tried to find! Do you dare drink the Elixir? 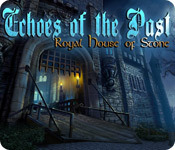 Echoes of the Past: Royal House of Stones - Having made an incredible journey in time, youâ€™ll find yourself in the medieval kingdom of Orion. 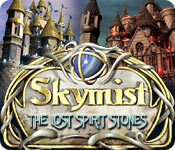 Reveal an ancient curse and save the kingdom and its inhabitants. The last prince of Orion is waiting for your help! Open the weird locks and explore every room of the castle in Echoes of the Past: Royal House of Stone. You will meet the castleâ€™s inhabitants and learn the horrible mystery of the royal family in this exciting Hidden Object Adventure game. 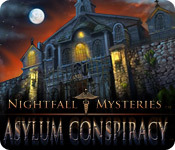 Nightfall Mysteries: The Asyllum Conspiracy - Help Christine explore the spooky Ashburg Asylum and find her missing grandfather in this dark Hidden Object game! Travel to the eerie grounds of Ashburg and work your way through spine-chilling locations. Solve unique puzzles to progress deeper into the asylum, and closer to Christineâ€™s grandfather. Meet interesting characters, unravel a mystery, and uncover an evil plot in Nightfall Mysteries: Asylum Conspiracy! Nightfall Mysteries: Curse of the Opera - Take on the role of a lowly stagehand in an opera company tasked with solving a deadly mystery! The Opera troupe is invited by the reclusive Count Vladd Vansig III to his small hamlet to perform a special Opera for him. Strangely, there are no villagers to speak of except for the Count and his caretaker. Over the course of the night, people go missing and are killed! 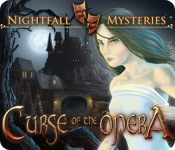 Use your Hidden Object skills to find out the identity of the killer and escape the village alive in Nightfall Mysteries â€“ Curse of the Opera!